Reading about open heart surgery in a textbook is one thing. 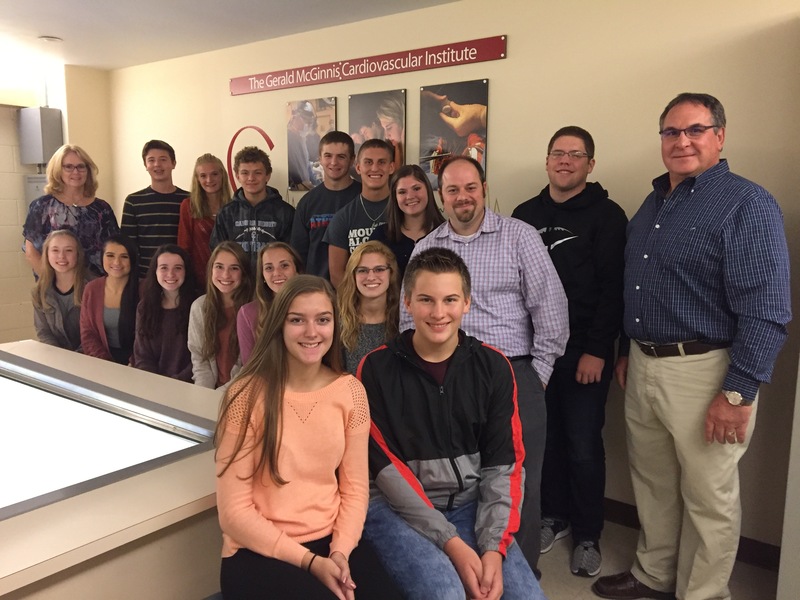 Experiencing it in person is quite a different experience as several local teens can attest, having attended a field trip to Allegheny General Hospital in October to observe a surgery. Students were bused to Pittsburgh early in the morning where they met Program Coordinator Pat Wolf, who stayed with them during the surgery and explained the process as it was happening in the operating room below the observation dome. Gifted education teacher Michele Schirf commented that “by providing students with this opportunity, it really helps to solidify their choice of entering the medical field, either as a doctor, nurse, physicians assistant or operating room technician. It also shows the students why biology, chemistry, and anatomy and physiology are so important.” Students and teachers have commented that this is one of the best educational opportunities for students interested in entering the medical field.